Under the U.S. Department of Housing and Urban Development (HUD) OneCPD Program, The Cloudburst Group conducted a cross-program Needs Assessment and provided direct assistance involving remote and onsite support to Flint’s Division of Community and Economic Development (DCED) between 2012 and 2015. 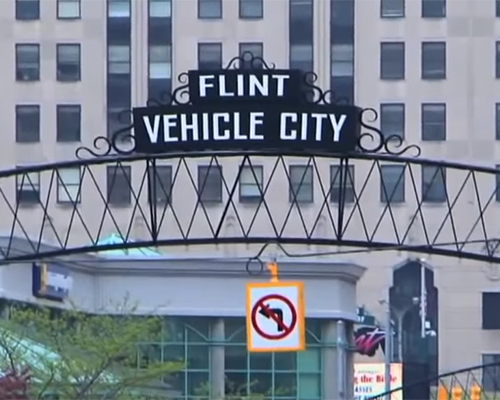 As with many “rust belt” communities, Flint had undergone decades of economic disinvestment and population loss. These conditions had led to the abandonment of many homes and commercial buildings in some neighborhoods, which had drastically reduced the housing market’s strength and resulted in widespread deferred maintenance. Another result was a sharp reduction in staff across all City departments, including the division charged with delivering housing, community development, and homelessness services. These circumstances, worsened by political and staff transition, had led to problems in program delivery, HUD findings, and an atmosphere of crisis in the division. City staff were open and eager to overcome problems they were encountering, and serious capacity-building work was undertaken across many areas simultaneously. Primary operational improvements included: streamlining invoicing/payment processing; updating policies and procedures’ manuals to reflect the new HOME Rule and the Emergency Solutions Grants Program; creating new Request for Proposal and application/certification materials for the City’s Community Housing Development organizations; creating filing procedures and systems, and; working through specific resolution of numerous projects identified as problematic by HUD’s Office of the Inspector General. Consolidated administrative support for the Emergency Solutions Grant Program (ESG) with Metro Community Development Corporation, a local nonprofit which already serves as the Continuum of Care’s Collaborative Applicant and Homeless Management Information System Lead, and administers the State of Michigan’s ESG Program. Created a “single portal intake” process for home and emergency repairs, whereby people in need come to Genesee County Community Action Resource Department (GCCARD) and GCCARD staff determines whether to use the HOME Program for a full rehab or Community Development Block Grant (CDBG) Program funds for emergency repairs. GCCARD then develops specifications and lines up contractors, assembles needed documentation and coordinates inspections. Awarded $100,000 in CDBG-Public Services to the United Way of Genesee County, which in turn awarded grants of up to $5,000 to more than 20 neighborhood-based groups to help them provide year-round youth recreation programming. While still in its first year, the redesign initiative has already reduced transactional burdens on City staff which has in turn accelerated benefits to residents; more houses are in the pipeline for rehab; more local children take advantage of youth recreation programs in their neighborhoods, and organizations that previously lacked the capacity to use federal funds are now actively gaining skills in nonprofit management. Cloudburst and its local partners have developed a Case Study with examples and tools as well as a video that describes this innovative project. The Cloudburst Group worked with the City of Flint to reshape the ways that housing and community development services were made available for residents of this distressed Rust Belt city. Flint’s “Redesign of Service Delivery” effort thoughtfully shifted a number of administrative and program responsibilities onto high-capacity local community agencies.